Hip and new restaurants in Sydney are constantly popping up in trendy suburbs like Surry Hills, Paddington and Darlinghurst. It’s not very often you have a hotly anticipated restaurant opening in Kensington. 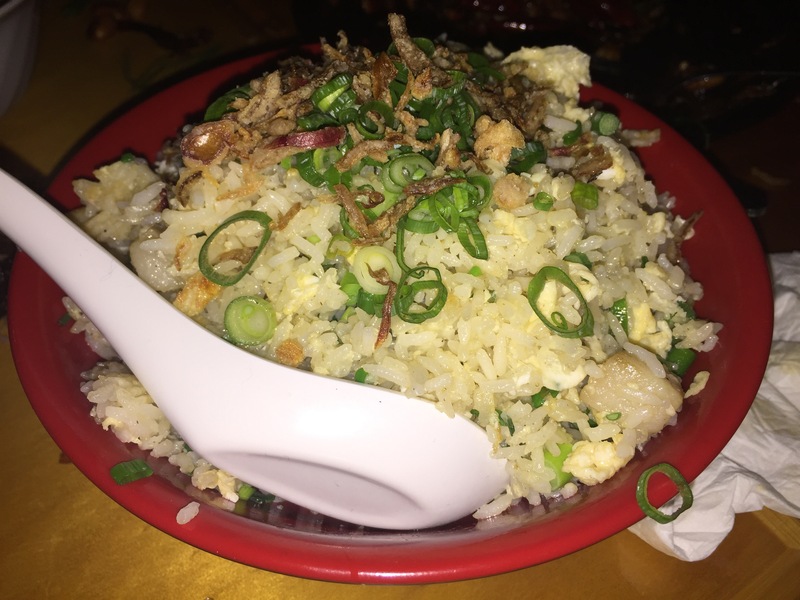 Don’t get me wrong, my beloved local suburb of Kensington features some of the best Asian food in Sydney – it’s just not one of the top destinations for a night out. 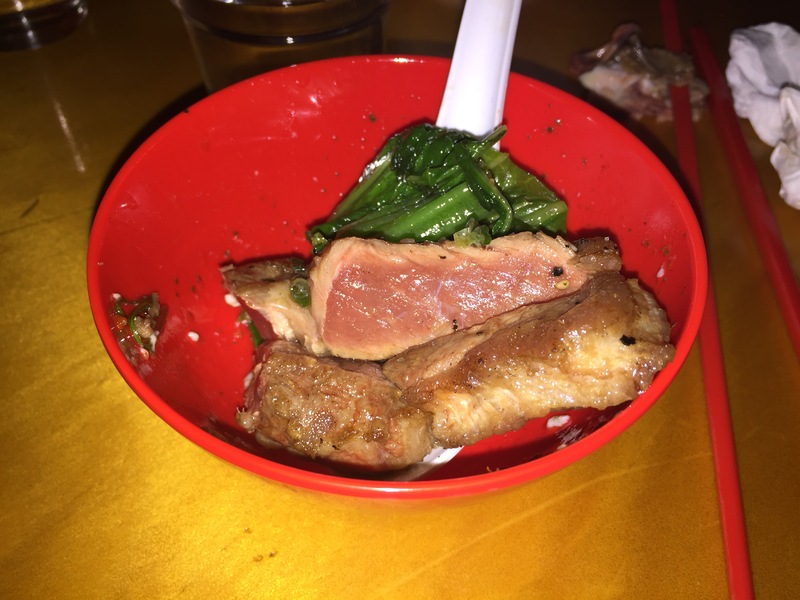 Fortunately, the team at Good luck Pinbone are putting Kensington on the radar of Sydney foodies. The team behind Pinbone (Chefs Mike Eggert and Jemma Whiteman and Restaurant Manager Berri Eggart) have worked at some of Sydney’s best restaurants and pop-ups including Billy Kwong, 10 William St and their own Pinbone and Buzo restaurants in Woolahra. Many would question why these talented hospitality legends have decided to open a restaurant in an old rundown building at the quieter end of Anzac Parade but trust me, the Pinbone team know exactly what they are doing. With minimal signage and a dark interior you might have trouble spotting the restaurant but if you see a bright red door with people lined up you are in the right spot. Good Luck Pinbone is only open Thursday to Saturday nights giving the chefs time to source the best local produce. There’s no bookings so by Thursday evening local Sydney siders are lining up ready for a Pinbone fix. The decor, or rather lack of decor, features stripped back walls with rustic coral colours, a red door and bar, seats and tables that remind you of a classroom and plastic cups and bowls. The team have obviously done the bare minimum in decorating the restaurant which makes sense as the building is set to be demolished in the next 18 months. But this is a place that doesn’t need fancy furniture or interior design – its dark, loud and absolutely buzzing! There is no wine list so BYO and the team will happily keep your drinks on ice. 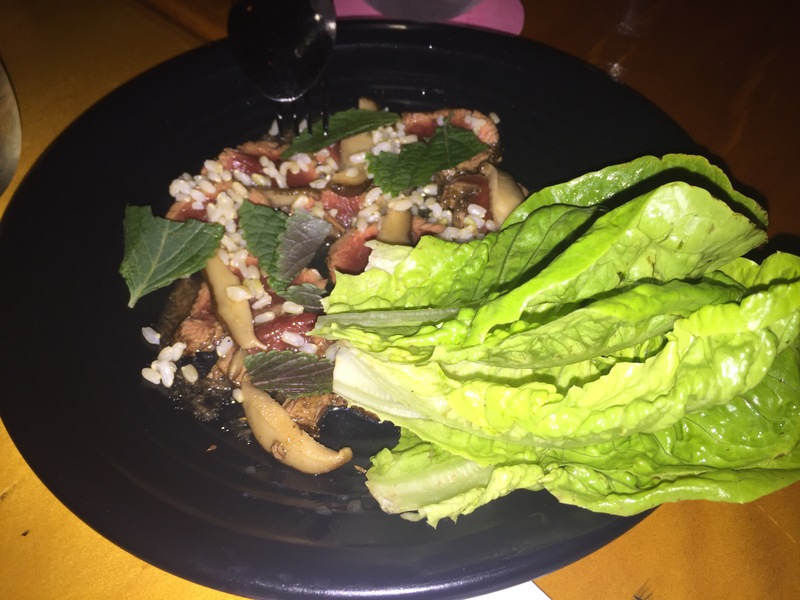 It’s all about good food and a good time at Good Luck Pinbone. The menu is simple but features some fantastic flavours and very low prices. My advice is to get a group together and try as many dishes as you can. 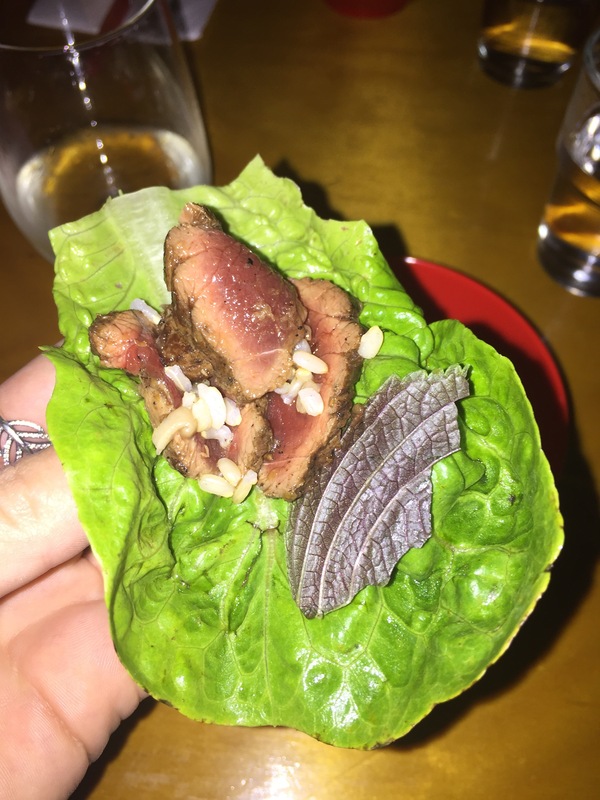 We tried the kangaroo tataki with herbs and butter lettuce ($18) and were told it’s best eaten with the hands. The kangaroo is cooked perfectly with incredible flavour and wrapped in the lettuce cups this is a very fun dish. 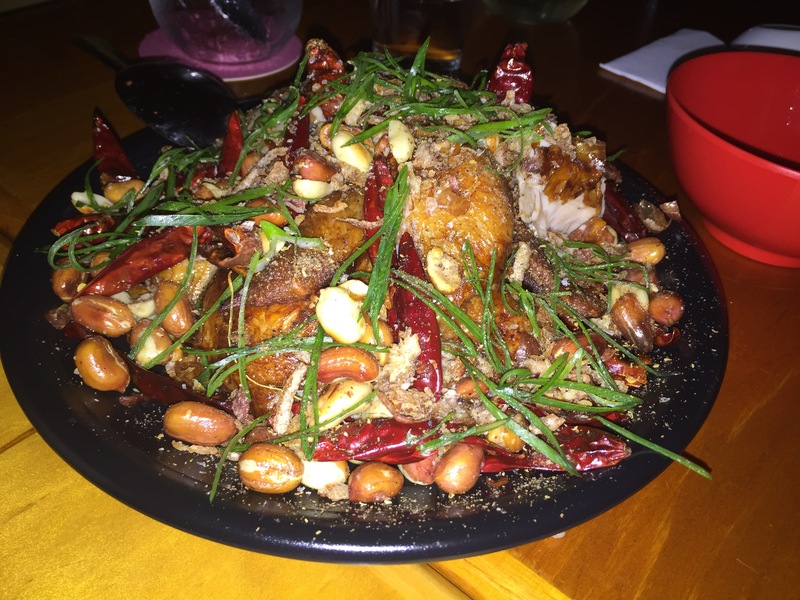 Next up was the chongqing crispy spatchcock with chilli peanuts ($33). This was one of the best Chinese style dishes I’ve ever tasted. The chefs obviously know traditional techniques of cooking Chinese food well and with confidence they are doing it their own way. With each bite you can taste the creativity and excitement from the kitchen. 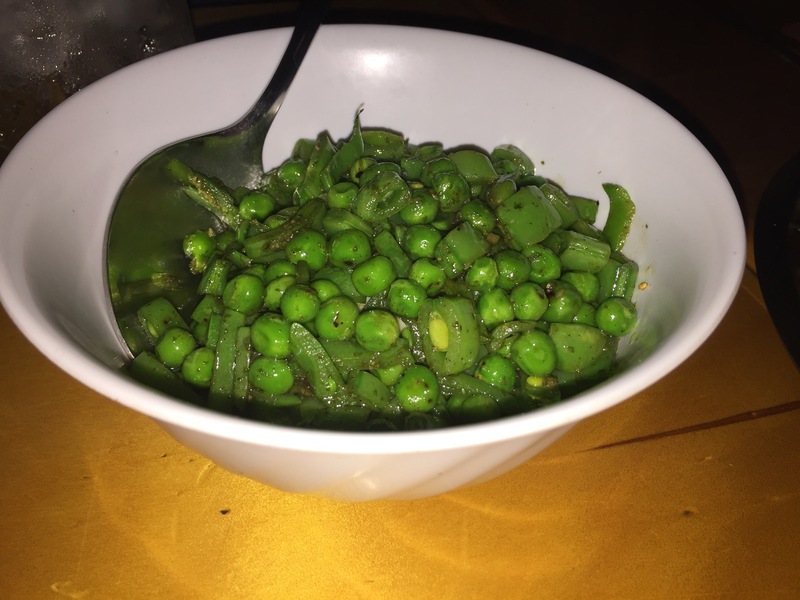 The three peas and macadamia custard was recommended to us and it’s a must side dish ($17). 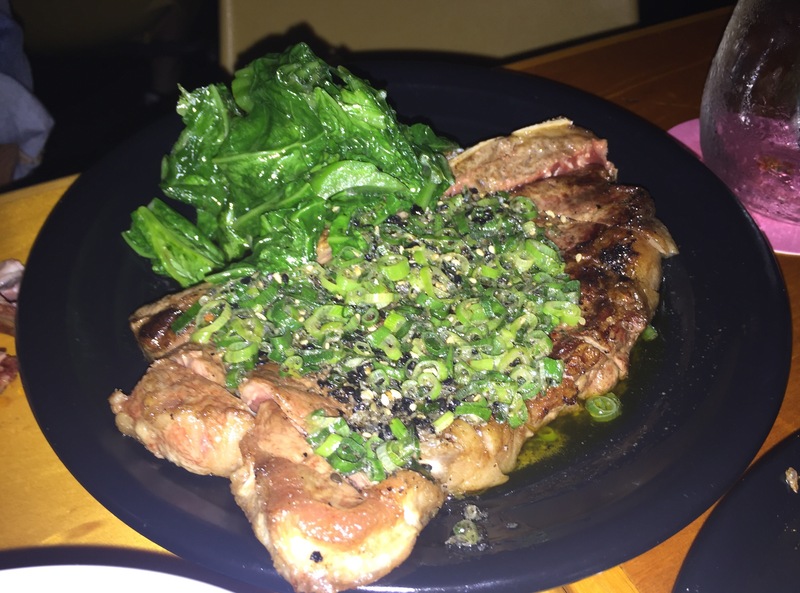 The sirloin steak was nice and juicy, topped with furikake butter and shallots and served with a side of crunchy mustard greens ($31). The fried rice with pork jowl and green garlic was full of fresh ingredients and beautiful Asian herbs and vegetables ($16). Unfortunately our fried rice was given to the table next to us but this was quickly acknowledged, replaced and was taken off the bill. The staff are professional, friendly and incredibly attentive. 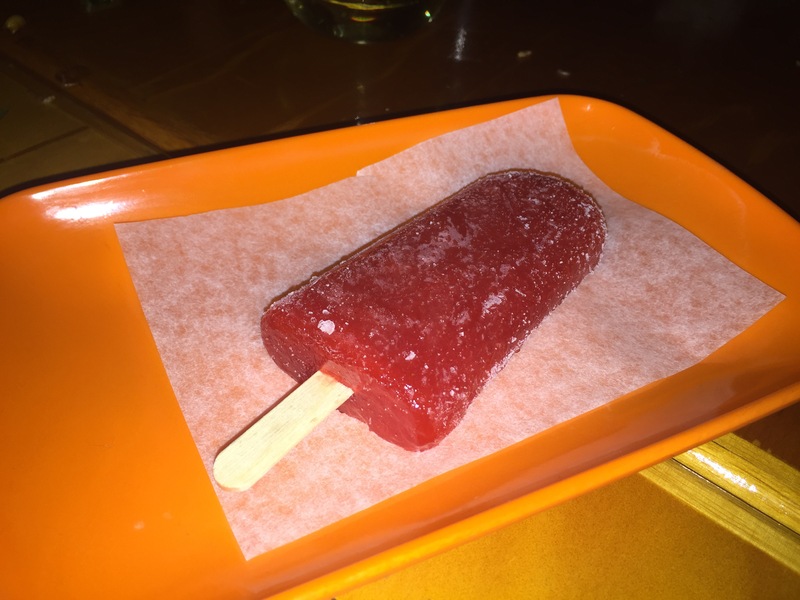 Keeping with the simplicity of the menu there’s only one type of dessert on offer and that’s house made frozen fruit pops ($5). Again, another smart move from the kitchen, keeping it simple and with confidence providing you with the perfect refreshing dessert after such bold Chinese flavours. Duck out the back to the toilet and you can take a sneak peak at the tiny kitchen on the way – it’s amazing what they manage to produce in such a small space. Waiting in line at the toilet block in the back yard I chatted with some people who travelled from North Sydney just to check out the Pinbone team’s latest venture and like me they were very impressed.